True Joy. Can We Really Experience It? Blog True Joy. Can We Really Experience It? The world around us claims to offer unlimited tangible pleasures, but our experience assures us that these pleasures are fleeting. Even those who follow so-called religious paths, still often find themselves empty and without joy. Ultimately, nothing short of an intimate, personal relationship with Christ can fill the believer’s soul with gladness. Robert Murray McCheyne, a young pastor in nineteenth-century Scotland, preached with a simplicity, clarity, and directness that centered his listeners’ hearts on the well of joy Himself, Jesus Christ. McCheyne’s fervent love of the Gospel shone clearly through everything he wrote and said, often leading him to tears while he preached. 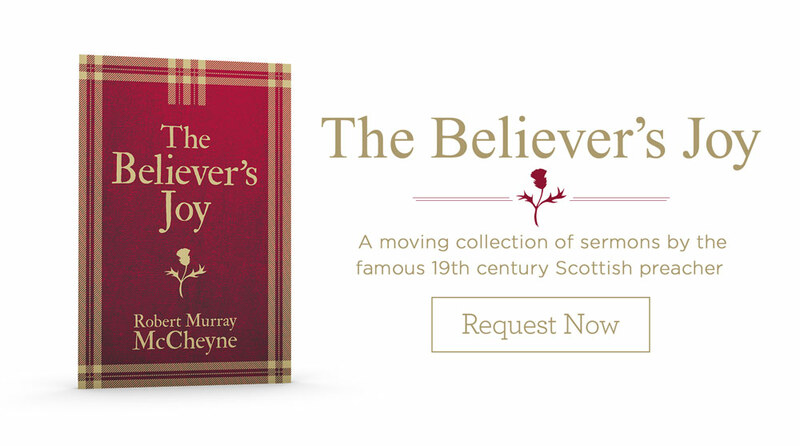 The short book, titled The Believer's Joy, brings together seven such sermons, in which McCheyne expounds the glories of life in Christ. Shorter and more easily digestible than some of his written works, but lacking none of the biblical depth, these sermons make for powerful devotional material. Merging exposition with his keen understanding of Scripture, McCheyne draws out all the ways that the believer may experience heartfelt joy through an exploration of God’s divine attributes: His omniscience, might, justice, and the past, present and future dimensions of His love. An intellectual knowledge of God can never replace a genuine love for God, just as temporary happiness can’t compare to eternal delight. Thankfully, The Believer’s Joy is a collection that compels us to acknowledge our soul’s deepest need and only source of true joy: Jesus Christ. Delight in His ways, His Word, and His holiness with this soul-satisfying read. Purchase a Copy of "The Believer's Joy"